A UNESCO World Heritage Site, Bath invites you to explore its unique mix of stunning architecture, rich heritage and rolling countryside. 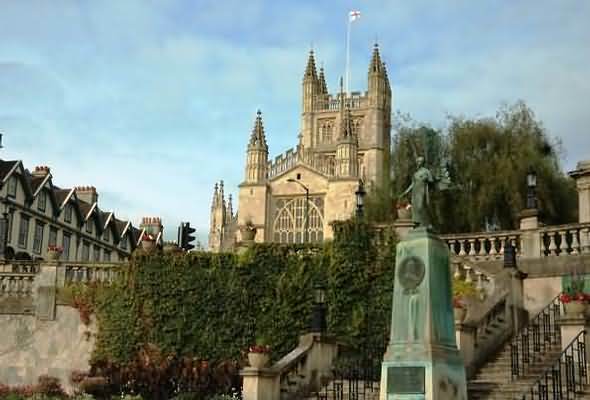 The City of Bath in the English unitary authority of Bath & North East Somerset (B&NES) positioned at the southern extremeties of the Cotswolds is a spectacularly beautiful city. The city’s compactness and striking architecture - Roman baths, majestic Abbey and sweeping Georgian terraces - combine to produce one of the most elegant sights in Europe. Bath is known for its Georgian classical architecture and its development as a Roman city called 'Aquae Sullis'. The presence of hot springs and easily worked limestone made it attractive to the Romans who built the original town which flourished for 400 years. Bath declined quickly after the Romans left Britain and did not thrive again until the eighteenth century when once again it was water and stone that made it great but this time of Georgian influenced architecture. 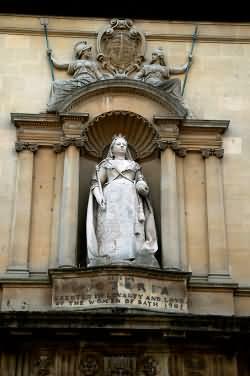 Throughout the Georgian period 1714 - 1830, Bath was the focal point of out-of-London social activity. Royalty, the aristocracy and commoners all bathed in the spa waters, which were made popular by the visit of Queen Anne in 1702. 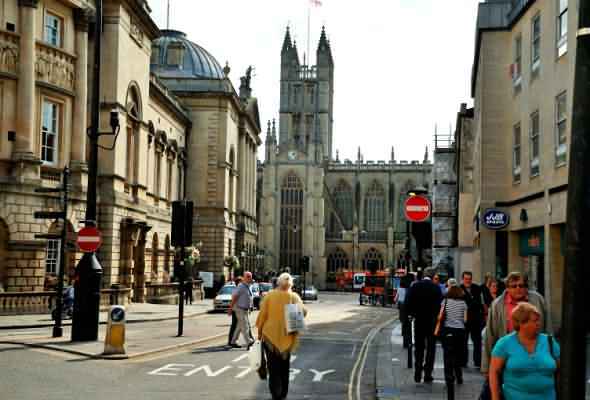 The population multiplied from 2,000 to 30,000 in just 100 years and Bath became the eighth largest city in England by 1801. 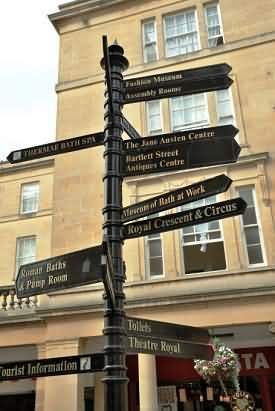 The development of the spa town of Bath, can be essentially attributed to three men: Ralph Allen - Post Master, John Wood the Elder - architect and Richard Beau Nash. 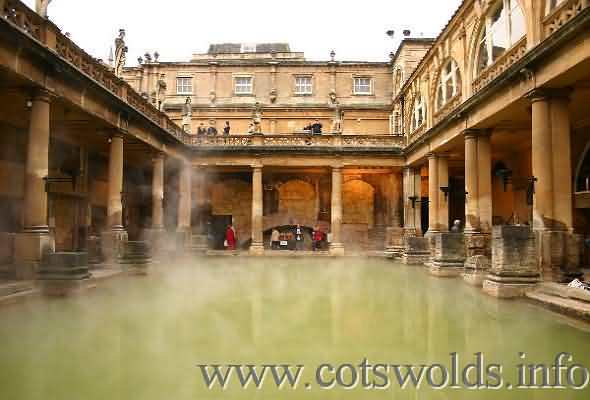 Bath is a city steeped in history and has the only hot spring in Britain. The city has more officially listed (5000) buildings than central London and most originate from the 18th century. The city is particularly famed for its Roman Baths (also its magnificent Abbey) - the spa Aquae Sullis (‘waters of Sul’ – the British goddess of wisdom) was constructed about 54 AD and was abandoned when the Romans left Britain at the beginning of the 5th century. It was not until the 18th century that it was rediscovered and its potential benefits once again realised. It was in this period that most of the developments took place and a large part of what can be seen today has its origins in Georgian times. Amongst the architects with the most influence Thomas Baldwin (1750-1820) has left a huge legacy. He built the Guildhall, The Northumberland Buildings, The Cross Bath, The Old Pump Room, New Private Baths, Nash Street, Union Street, Hot Bath Street and much more besides. Also responsible for design was Thomas Warr Attwood (1733-1775) he was an Architect and also a Mayor of Bath, he worked closely with Thomas Baldwin. Attwood was the cause of much controversy when he proposed the building of a new gaol. He died when on the site of a derelict building which collapsed on him. John Palmer (1738-1817) succeeded Thomas Baldwin as city architect in 1792, he was involved in the building of many properties which included - Landsdown Crescent, Cumberland House, Stall Street, St. James Square, Christ Church Bath, Theatre Royal, New Bond Street, the further development of the Grand Pump Room and The Royal Mineral Water Hospital. Among the many sights to be seen within the city is its superb Bath Abbey Church of St Peter and St Paul, The Roman Baths, The Pump Room, The Theatre Royal, Victoria Park, Pulteney Bridge, Victoria Art Gallery, The Royal Crescent, Orange Grove, Bath Postal Museum, The Circus and The Fashion Museum. Bath is a highly popular filming location due to its great mix of 18th century architecture with contemporary lifestyle. The unspoilt and uncluttered passageways rich in history are perfect backdrops to transport Bath back in time. Films include Vanity Fair, Persuasion, Dracula and The Duchess. 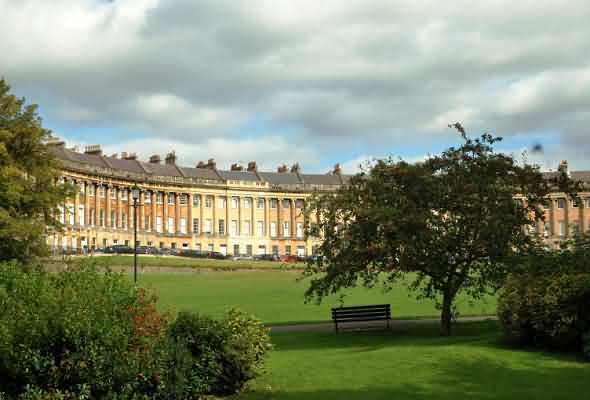 Bath Racecourse is set in acres of beautiful countryside located two miles North of the city centre and just six miles South of Junction 18 of the M4 Motorway and is well sign-posted from all major routes to its location on Lansdown Hill. Bath Racecourse is a versatile and unique venue, with excellent facilities suitable for a wide variety of events. Literature Festival - launched in 1995, the Bath Literature Festival has become one of the UK's best known festivals for stimulating debate, lively conversation and fascinating authors insights. Taking place annually over 9 days in February/March, and using The Guildhall in Bath as its base, the Festival seeks to make you think whilst it entertains, with unique events pairing like-minded authors, dynamic debates on topical issues, and specially commissioned work by leading contemporary writers. Bath International Music Festival - the Music Festival has an illustrious artistic history and has long been a well-established event of national significance and international reputation, presenting a dynamic mix of world-class performers. The Festival takes place annually over 12 days in late May/early June, and showcases a rich range of high quality events featuring orchestral and classical virtuosos, jazz giants, folk, roots and world musicians, innovative collaborations and unique commissions. The University of Bath ranks highly in the league tables of UK universities published by a number of national newspapers, including the Times, Independent and Guardian. Its research is internationally respected, and its students are in demand by employers because of the high quality of the teaching offered here. The University has had close connections with industry and the public and voluntary sectors since its inception in 1966. It has developed strong links with universities abroad. The University's buildings are set in an attractive campus about a mile from the centre of Bath. It is a safe and friendly campus with strong student services and good social opportunities. Its sports facilities are first-class. Chapel Arts Centre is a venue for all of the performing arts in the heart of the City of Bath: Jazz, Folk, Classical, Country, Theatre, Comedy, Dance and things that are simply uncategorizable. As well as promoting its own events, Chapel Arts is available for hire by organisations and independent promoters with programs that fit into our overall artistic policy - which is very broad. Anyone interested in any aspect of Chapel Arts Centre may contact Svanur Thorkelsson through this website. Chapel Arts Centre is a not for profit company which operates from its base at St James's Memorial Hall, Lower Borough Walls. The centre is dedicated to promoting the performing arts, the arts in general, and arts-based community events. 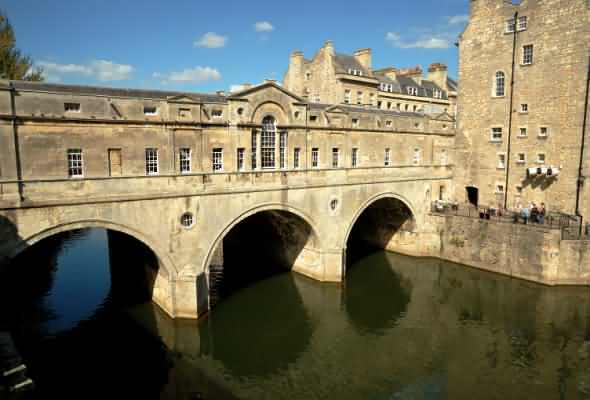 Bath and North East Somerset (commonly referred to as B&NES) is a unitary authority created in April 1996, following the abolition of the County of Avon. Bath and North East Somerset occupies an area of 220 square miles (570 square km), two-thirds of which is green belt. B&NES stretches from the outskirts of Bristol, south into the Mendip Hills and east to the southern Cotswold Hills and Wiltshire border. The City of Bath is the principal settlement in the district, but B&NES also covers Keynsham, Midsomer Norton, Radstock and the Chew Valley. B&NES has a population of 170,000, about half of whom live in Bath, making it 12 times more densely populated than the rest of the district. The Royal Bath & West Showground was founded in 1777 by the Royal Bath & West of England Society - a Somerset based registered charity that aims to encourage agriculture, the arts and commerce. The Society owns the Royal Bath & West Showground, a 240 acre site near Shepton Mallet, which is home to a series of world class shows and events in Somerset throughout the year. The biggest event in the calendar is The Royal Bath and West Show held end of May. It's probably the biggest agricutural show in England and a great day out for Cotswold visitors. Located 24 miles south of the city of Bath. Avon Valley Steam Railway is 6 miles from Bath. Brecon Mountain Narrow Guage Steam Railway is 68 miles from Bath.